When I talk to most people about why they don’t negotiate, I get a lot of responses. It’s uncomfortable, they don’t know if they should, they don’t want to look greedy. Those can be difficult, emotional responses that are hard (but necessary) to work through. The response that I get that’s not a difficult, emotional response to work through? Please. I was a terrible negotiator. Absolutely the worst. My heart would race, I’d trip over my words, and once my poor negotiating skills ended in a yelling match in a Moroccan bazaar. I cannot overemphasize how bad I was. 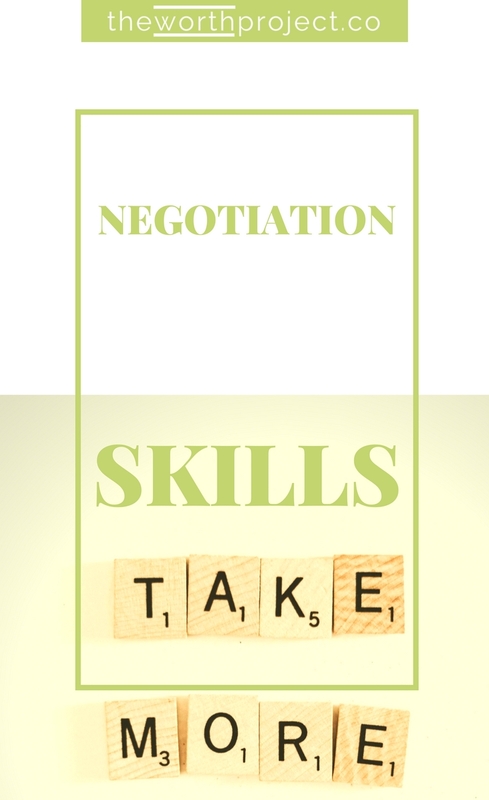 But, luckily for me and all of you, negotiating isn’t a quality we’re born with. It’s a skill that’s learned and developed over time. While we will all make mistakes, the key is to learn from them as well. 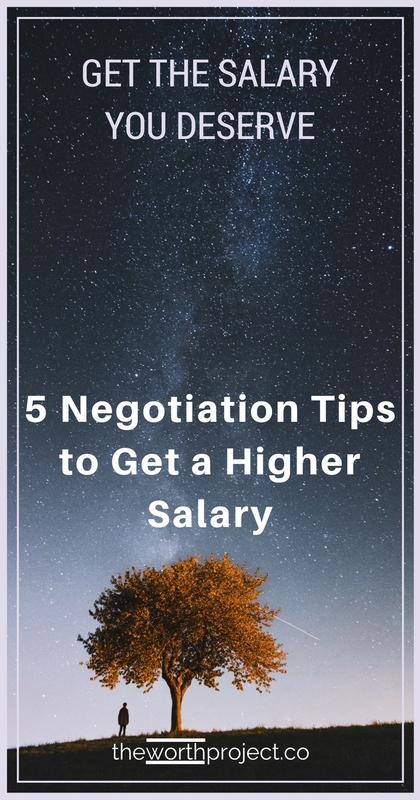 While I won’t be called in to negotiate peace deals, my negotiation skills have improved so that I’m able to confidently ask for a raise, negotiate a contract with a client, and ask for what I need in order to shape my career. 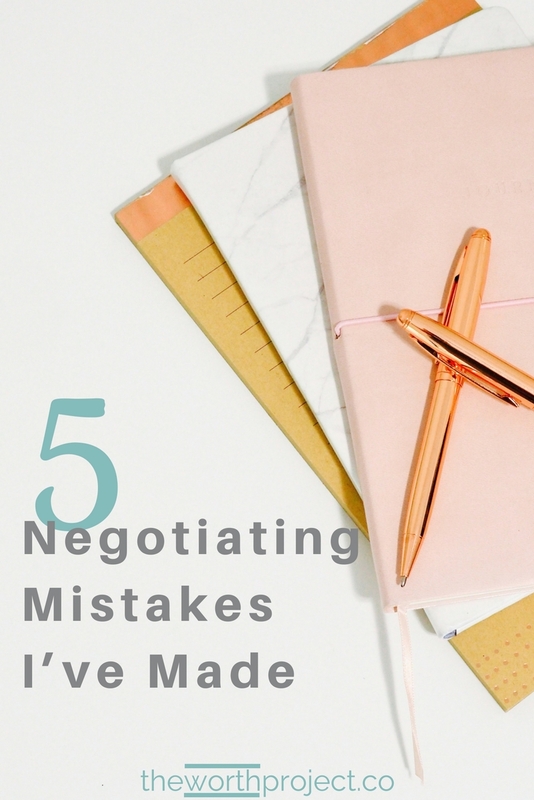 While I may be confident in my skills now, here are 5 negotiating mistakes I made, what I learned, and how you can avoid making the same mistakes. You don’t get 100% of things you don’t ask for. My first job out of college I worked hard for a year. I figured if I did the things that were asked of me, I’d do ok. Fast forward to one year in and I was handed an average employee rating with an average salary increase for cost of living. It stung as I saw my co-workers get bigger raises, be rated higher, and get more opportunities for the next year in their career. When I turned to my mom for advice, she gently pointed out where I went wrong. “If you want to be valued, ask to take on more, do a great job, and then ask to be recognized for it.” Simple. The next week I marched into my manager’s office and asked to do more, with the objective of being promoted the next year. I think she was caught by surprise (I was, after all, average). But she gave me an opportunity and I knocked it out of the park. Then she gave me another one and I excelled as well. Finally, when it was time to review my year, I confidently asked that I be considered for a promotion and the sizeable raise that came with it. Guess what? I got it. After I learned my lesson about not asking, I decided that I needed to be more proactive with my asking. So when an opportunity came along for me to negotiate my salary (I was being offered a salary that was well below market), I decided to ask for more appropriate compensation. As I made my case, I knew it was well justified. I had the exact experience they needed, came with great recommendations, completely crushed the interview, and they were offering me a salary that was well below market rate. But right after I finished asking for a higher salary, I faltered. The HR woman I was speaking with was silent when I finished my ask. Uncomfortable with even a moment of silence, I began talking again. This time instead of my well-rehearsed ask, I started to apologize. I apologized for wanting more money, I apologized for asking, and I apologized for not being able to accept right away. I couldn’t stop the “I’m sorry’s” that were streaming out of my mouth. I cringe still thinking about that moment, but luckily I learned from that mistake and it never happened again. Be comfortable with silence and do not apologize. At the end of my final round of interviews with a company, an HR woman walked in to answer any questions and chat with me about the process. This was really a cover for what she actually wanted: my current salary. I was still in the mode of wanting to please. I didn’t know if I had an offer yet and I was eager to do anything to not mess it up. So when she asked “what are you currently making?”, I responded as quickly and truthfully as I could. I knew I shouldn’t answer this question but I didn’t know how to NOT answer this question. So I told her my exact salary. Then my bonus. Then what my signing bonus was. Then my other compensation like stock options and vacation. 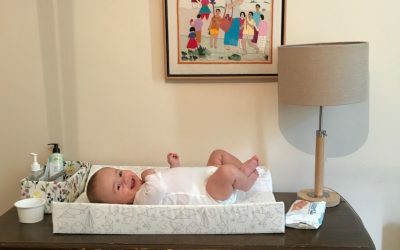 I was oversharing and I just couldn’t stop myself. As I was preparing for a negotiation, I decided to do a little reading on what to say. After perusing google for a few minutes, I came across the rule that I shouldn’t give a number first (by the way, that “rule” isn’t always right). But that felt great to me. I didn’t want to have to think of a number so I’d just ask for “more” and be happy with what I got. With that, I went into the conversation. When they came back with a number that was slightly higher than what I was currently making, I jumped. I did it! I successfully negotiated for more! It was a few minutes after the meeting ended that I began to question what just happened. Was I happy with that number? Was that what I actually wanted? I had spent so much time trying to figure out how to avoid giving them a number, I had forgotten to spend time figuring out what it was that I actually wanted. 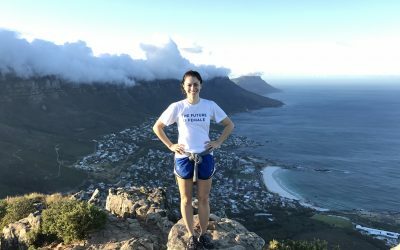 What was my goal and what is the number I’d be happy with? I didn’t have that then, but I always do now. If you’re in a job that you don’t really like, it can be easy to pile on all of the reasons that it’s not right for you. That’s what happened to me, without even realizing that’s what I was doing. And unfortunately, I didn’t think that negotiating could help me endure a bad job situation, or like my job more. 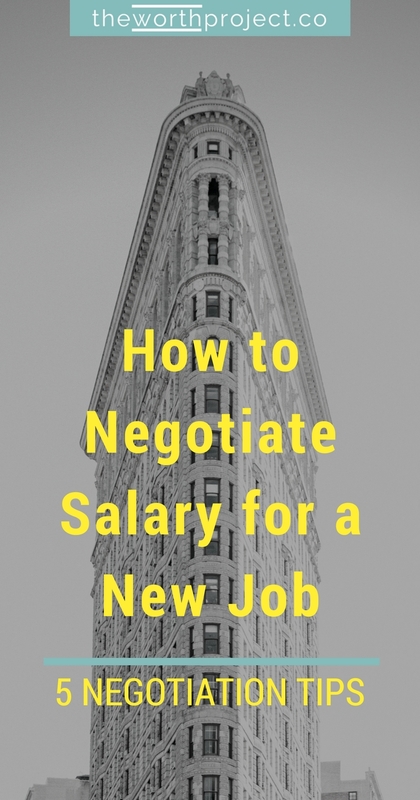 What I’ve learned since then is that a majority of what you do in your job is negotiable. 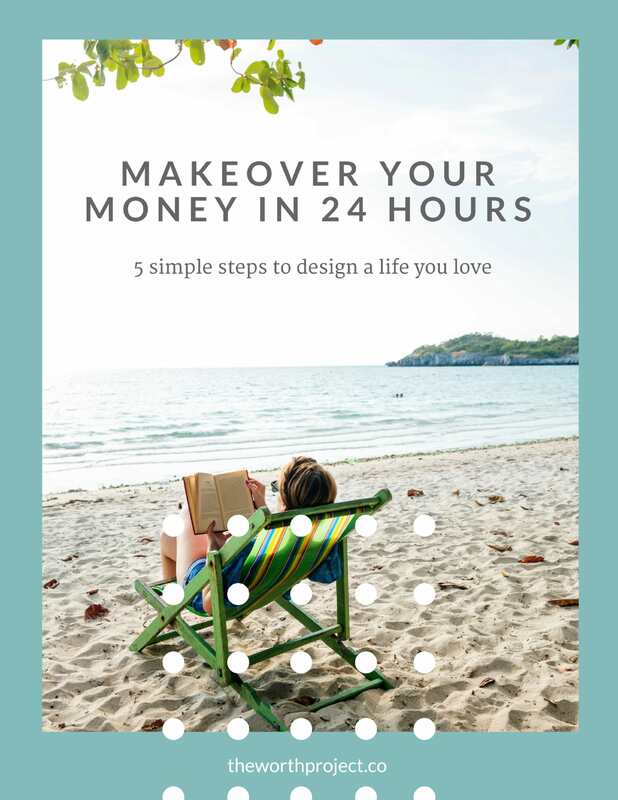 At times I felt like I was being crushed by an exhausting travel schedule, only to learn that I could have negotiated to take on different projects or adjust my schedule to make the travel more bearable. I was burnt out to the point of quitting because a lengthy project I’d been given was exactly the opposite of what I was interested in doing. I didn’t realize until too late that I could have negotiated working on an alternate project or taking on a different project that I actually enjoyed, to balance out what I didn’t enjoy. When one of my co-workers was let go and I was given her work, I was completely burnt out and didn’t realize that negotiating for more admin help was an option. 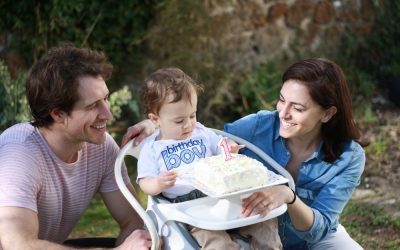 While I fretted about having to leave a job due to my husband’s work relocation, I didn’t realize that negotiating working from home was an easy solution. Looking back there are so many things that I could have negotiated for, but didn’t. And those things actually would have meant as much, if not more, than money. 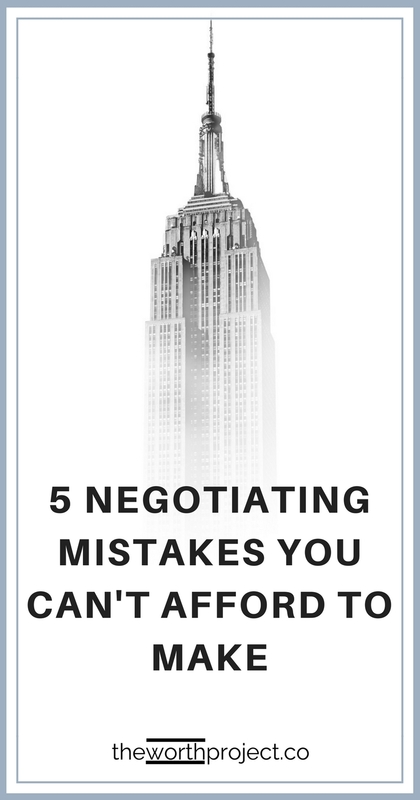 If you’ve made any negotiation mistakes, we’d love to hear. Share yours in the comments below.